Prestoea acuminata is a highland clonal palm traditionally used as a source of palm hearts by the Awá Indians of Colombia and Ecuador; its commercial use thrived in the 1980´s. Extraction pressure on the resource is particularly strong during Holy Week, as campesinos use it as a substitute for meat. 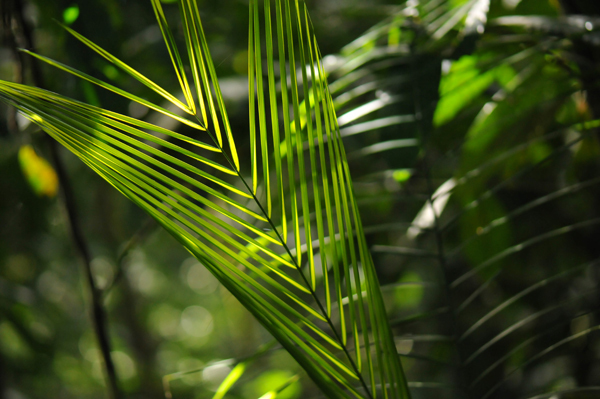 We studied P. acuminata demography at La Planada Reserve, southwestern Colombia, and elaborated a ramet-based matrix model to assess the impact of different palm heart harvest regimes. The 1.5 ha study area had 1182 genets, composed of 5389 ramets. Harvestable stems were 23-40 years old and accounted for 0.32% of the stable stage distribution (SSD). Ramet population asymptotic growth rate λ was 1.0485, and was more sensitive to changes in the survival of stemless ramets. Observed stage distribution (OSD) differed from predicted SSD, which suggests the population was exhibiting transient dynamics. As our census was conducted four years after a severe ENSO, we argue that the OSD could be reflecting this environmental disturbance. Thus, harvest simulations must be interpreted with caution. 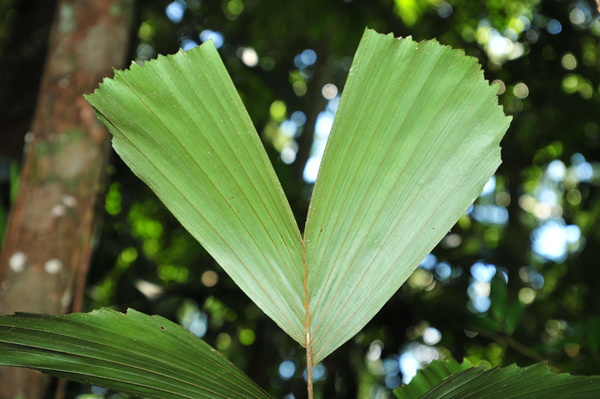 Although P. acuminata ramets are abundant at La Planada, the typical genet architecture, with many stemless ramets (≈20) and only 1-2 stems appropriate for palm heart extraction, accounts for a very low resource yield (127 palm hearts ha-1 in our survey). 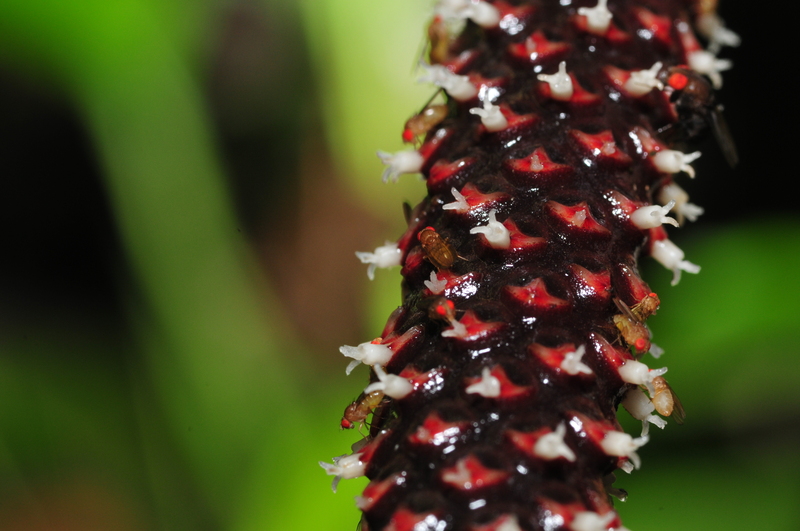 This, and its slow growth rate, make P. acuminata suitable only for household extraction. As harvest has a strong effect on sexual recruitment, we recommend a maximum annual extraction of 10% of harvestable ramets.